Hide-Away is our PRO responsible for covering the western Florida market. Based in Sarasota, Florida, Hide-Away managed 20 of our properties in western Florida as of December 31, 2017. 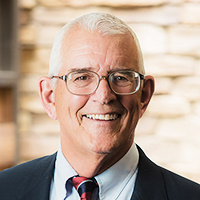 This operator is led by its founder, Steve Wilson, one of the early developers of the self storage business, who has served for more than 35 years as the President of Hide-Away and its related entities and is a former Chairman of the national Self-Storage Association.